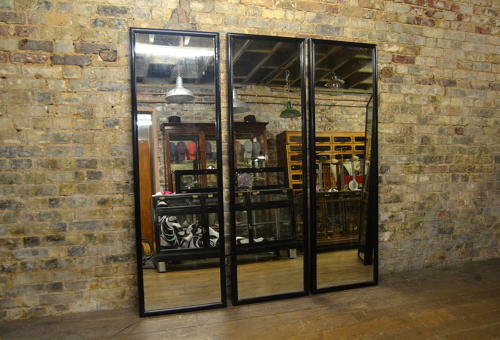 Beautiful old original Victorian mercury mirrors, perfect for house and shop interiors. The frames are mahogany and the back has been replaced. The mirrors have gorgeous patina - we've done our best to capture this in photographs, but it's a lot better to see them in person. Perfect for shop display or house interiors.